With imported diaphragm pump, high integrated circuit design and automatic ink system, Perfect Laser PM-1000 automatic batch coding machine is more suitable for harsh working environment. 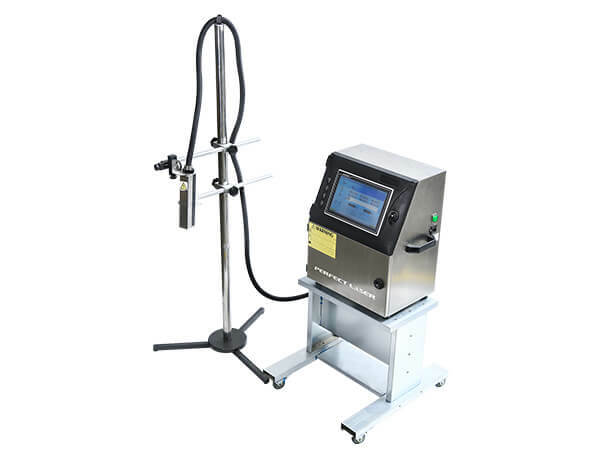 Accurate ink viscosity automatic control system and unique nozzle automatic cleaning function ensure unimpeded ink tube for long-term reliable operation. With these high technology design, our PM-1000 industrial inkjet coder is not affected by changes in environmental temperatures and the duration of working time. Our industrial inkjet printing machines will be on work with Perfect Printing Effect. Compressed air is not required during working and the service time of the industrial inkjet coder is longer than the gear pump. Independent wash pumps to spray automatically to clean the nozzle and ink tube when the inkjet barcode printer machine shutdown enable to solve congestion problems. Advanced ink viscosity control system makes it more accurate and reliable in relative to other brands of automatic batch coding machine. 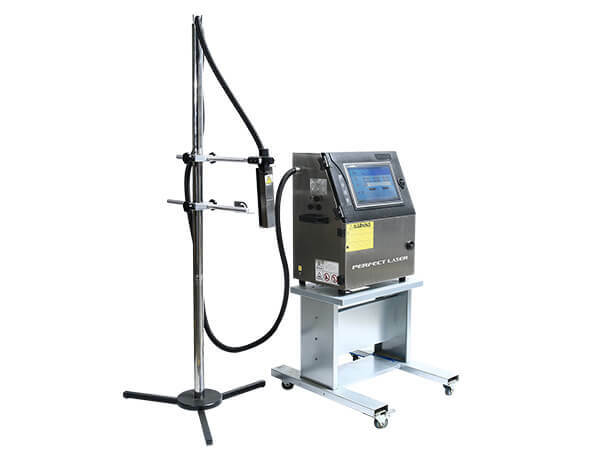 Unique positive air pressure function of the inkjet barcode printer can help to withstand dust and water intrusion, suitable for a variety of harsh environments. Easy to give a glance of automatic batch coding machine equipment operating status by perfect digital circuit control system. To edit other non-work information during inkjet barcode printer working for instantly printing content changes. Applied Material: The industrial inkjet printing machines are widely used in Paper, glass bottles, plastic bottles, metal, medicine box , plastic bags , cartons, paper bags, electronic products, labels, nylon, ABS/PVC/PC, rubber, resin, ceramic etc. Applied Industry: The industrial inkjet printing machines are widely used in Warehouse logistics, wood processing, carton packaging and printing industry, food and beverage packaging industries.